Happy Thursday! I hope you are all having a fabulous week! The month of January can definitely be a cold and dreary time, but I have also found that it is a great time to get re-focused and re-inspired! I’m super excited about this free mini course happening right now, called 4 Steps to Rediscover Your Inner Creative Genius. You can sign up here to have the 4 part course sent straight to your inbox, but don’t wait–it will only be available until January 20th! In other news, our Secret 13 Essay Contest finalist this week was Claire from A Little CLAIREification. You can read her heart-wrenching story here. Be sure to check it out–it is SO inspiring! There is still plenty of time to submit your own entry for a chance to win an all expenses paid cruise for four on the Carnival Sunshine, so be sure to check out all the details HERE! 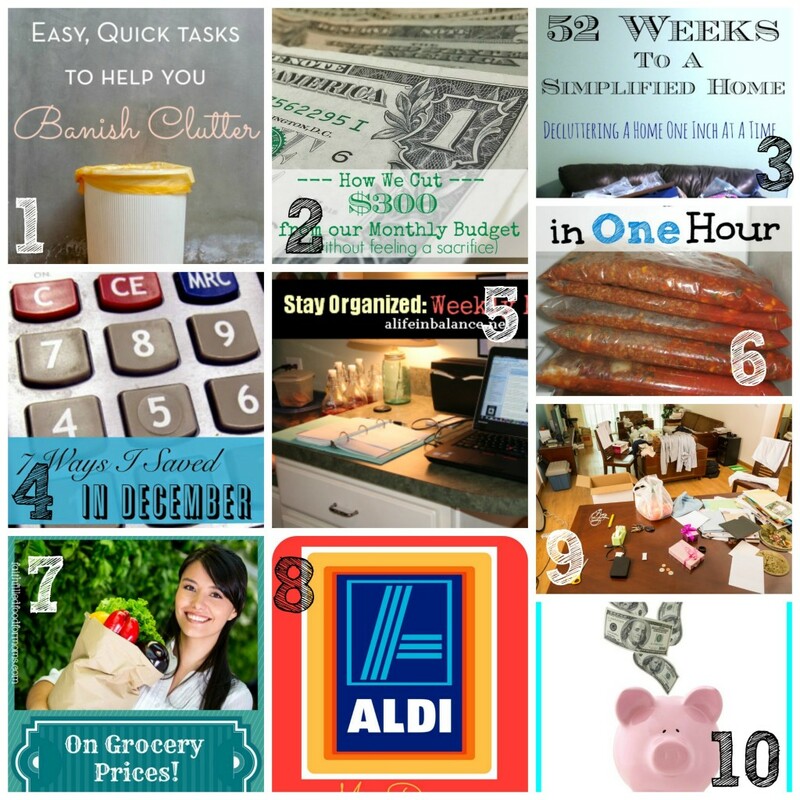 Thanks for featuring my post about cutting $300 from our budget in your collage. Thanks also for the linky! Have a great weekend. Hi Ruth. I hope you are having a great week, and as always, thanks for hosting! I love looking through all of the different ideas! God bless. Couldn’t see the post on your homepage despite refreshing 50 times, but was happy to find the link in my email. 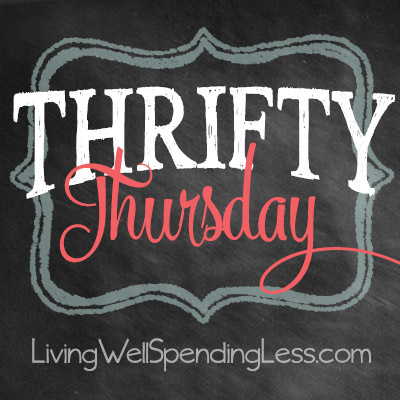 Can’t miss a Thrifty Thursday! Thanks for featuring my post on the Dozen staples I pick up At Aldi and for offering this great link-up. Thanks for hosting! 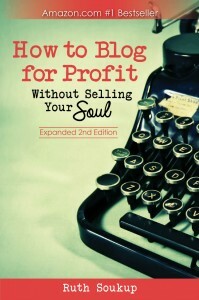 Wow, all sorts of fun and helpful frugal tips. I’ll be sure to stop on by and visit a few. Thank you for hosting this link party!! This was my first link up and I’m so grateful for this opportunity! I also enjoyed checking out all the other links! Thanks so much for hosting this great link-up! There are some really great posts here – off to read some now. Thank you for the great reads! I feel they will help me with my Less is More project. Thanks for hosting the link up.